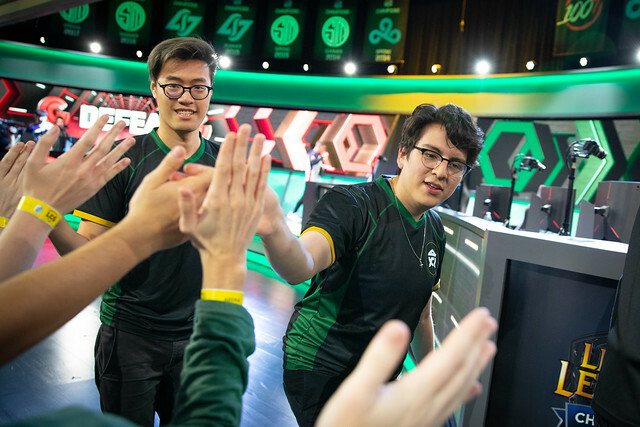 FlyQuest went through a tough series against Golden Guardians in their quarterfinal match, barely edging out with a 3-2 victory. The bot lane meta was ever shifting along with mid and jungle as the teams slowly developed their own mini-meta inside the series. Esports Heaven spoke with FLY support JayJ, touching on the pick/ban phase of the series, allowing WildTurtle to make crazy plays, narratives surround FLY and his thoughts on the upcoming semifinal match. ﻿ ___________ Izento has been a writer for the LoL scene since Season 7, and has been playing the game since Season 1. Follow him on Twitter at @ggIzento for more League content. Image courtesy of LoLesports.